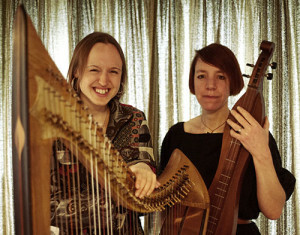 Whilst I was living in Wales, in an old vicarage beside a church built within a stone circle, I was asked to play a concert as part of the local community’s Christmas tree festival together with Harriet Earis. We played a selection of mostly English and Welsh carols, folksongs and tunes in the church and everyone enjoyed it so much we got asked to do the same the following year, and now it’s turned into an annual event. The community around Ysbyty Cynfyn is closeknit but more welcoming than any other rural community I’ve experienced and it’s lovely to have a reason to go back and visit. 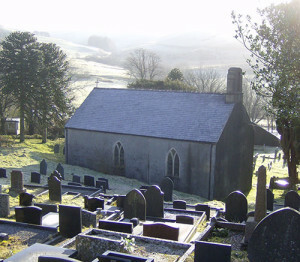 The church at Ysbyty Cynfyn in winter. This year, Harriet and I decided to look for some more similar venues to play together, and are playing a handful of castles, churches and Christmas markets in the run up to Christmas. We’ve also recorded a cd, and I’ll have some of them to sell soon..